If you have been reading Ham Radio Science, you will notice that a lot of the articles featured here are about taking existing technology and applying them to Amateur Radio. Rather than reinvent the wheel, why not take an existing technology and get a little more mileage out of it. This is something Amateur Radio operators are good at, as well as coming up with completely new technology. Amateur Radio operators are known for their ability to find new ways to use stuff just laying around to benefit their hobby. Nowadays, we have a lot of technology laying around, so why not finding ways of recycling it for Amateur Radio use. Thats just what Tobias, DH1TW did with marrying an off the shelf midi controller with PowerSDR. Utilizing Midi as a control language maybe a little to foreign to Radio Amateurs unless you also happen to be a musician. Midi has been utilized for many years as an interface language between electronic instruments, sound modules, and computers. Midi controllers can come with a wide variety buttons, knobs, and sliders for controlling PC music processing programs. So why not use these as input devices to Amateur Radio software? The biggest reason is that most Amateur Radio programs don’t accept midi input. With midi input mapping, you can take any midi controller hardware and map a given knob on the controller to a function in the Amateur Radio software. For example, you could map a knob to control the tuning in PowerSDR. This is just what Tobias decided to do. Tobias choose to use the Hercules DJ controllers because of it large dual jog wheels, several pushbuttons , knobs, and sliders. He then wrote a midi plugin that would allow you map the numerous buttons on the Hercules controller to PowerSDR functions. The results is a desktop controller that you can use to tune both PowerSDR vfos, make adjustments to volume and other numerous settings from a convenient desktop controller. The details of the project and downloads can be found on the DH1TW web page. Great work Tobias! 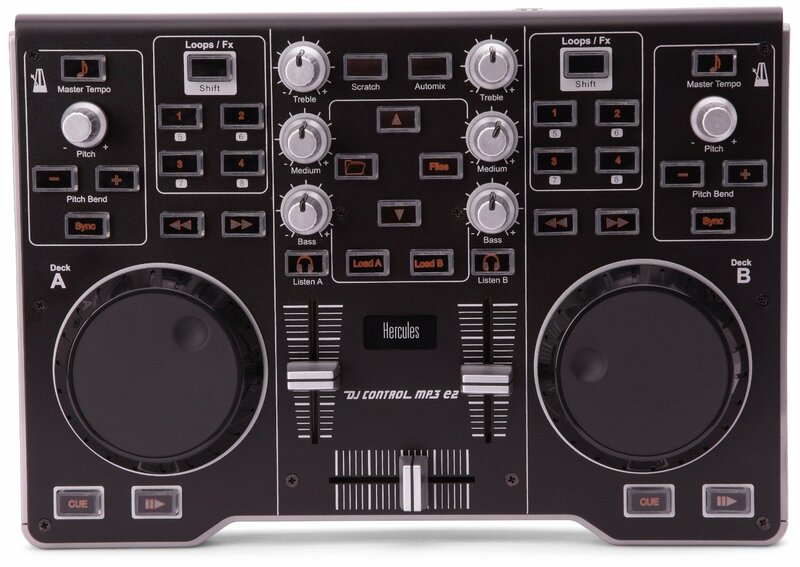 We will be taking a closer look at the Hercules DJ controller in a future article. Next: Next post: Free SDR Radio! Tate on Network Radio – Is it real Ham Radio? keith on Network Radio – Is it real Ham Radio? HRS on Network Radio – Is it real Ham Radio? Brian on Network Radio – Is it real Ham Radio?